Last week I was on a retreat in the desert where humidity does not exist. My hair looked like the tumbleweeds that dotted the area. So I took the opportunity of being “off the grid” to slather my tresses with deep conditioner and twist it in a knot. Occasionally, I would rinse off one conditioner and slather on another. I arrived back in L.A. with shiny, healthy locks only to have two auditions with specific hair requirements. Phew. Glad I was prepped. Deep conditioning is a good thing to do on a weekly basis (guys, this is for you, too! At minimum the people in your life will appreciate it!) As part of Impact Styling’s Personal Grooming series…let’s talk about hair. Here are some effective conditioners. Helpful Hint: Stylists at Frederic Fekkai recommend using just a dime-sized amount. It's all that's needed. A hair stylist recommended this to me years ago. 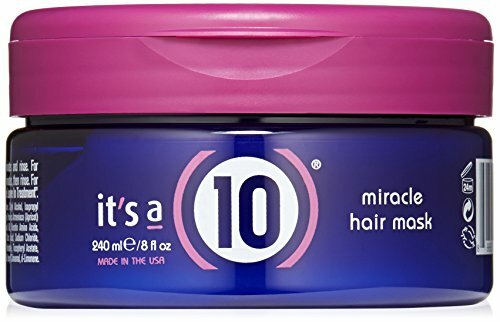 It is especially good on thick, wavy hair. This is a good organic choice. Plant-based, with no GMOs and not tested on animals. The lavender scent is very calming. I was gifted a set of Wen years ago when my hair was really fried. In short, this product nursed it back to health. This mask takes the place of shampoo, conditioner, deep conditioner, detangler, and leave-in conditioner. It works.